Dr. Arora is a hand surgeon and is committed to the care and rehabilitation of the hand, wrist, forearm, and elbow. He offers comprehensive care for patients at his practice locations in Livonia and Southfield, as a part of Michigan Surgery Specialists, P.C. Additionally, he provides on-call coverage ... Read More for the Emergency Departments and performs inpatient consultations at Providence (Southfield) and Providence Park (Novi) Hospitals. Dr. Arora practices patient-centered care and believes in a shared decision-making process. This involves providing information to patients regarding their options and the risks and benefits of each and discussing the best agreed upon treatment plan. Dr. Arora treats many conditions and performs a multitude of procedures encompassing the upper extremity. This list includes: arthritis, arthroscopy, carpal/cubital tunnel, DeQuervain's, Dupuytren's, epicondylitis, fractures, ganglions, golfer's/tennis elbow, joint disorders/injuries, ligament reconstruction, microsurgery, nail disorders/injuries, nerve disorders/injuries, pediatric injuries/disorders/abnormalities, rheumatoid, sprains and strains, tendon disorders/injuries, trigger digits, work-related disorders/injuries. He treats adults and children. 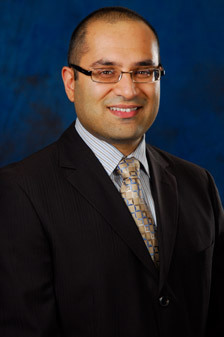 Dr. Arora earned his medical degree from the Medical College of Wisconsin in Milwaukee. He completed his general surgery residency at William Beaumont Royal Oak and an orthopedic hand surgery fellowship at the University of Colorado in Denver. He is a member of numerous professional medical associations, including the American Society for Surgery of the Hand, American Association of Hand Surgery, and the Arthoscopy Association of North America. Avery Arora, MD offers services at multiple MI locations.